← Central BBQ: Memphis Ribs Done Right! Put lit charcoal under your makeshift-storage-shelf-turned-grill before you try to cook your dinner! 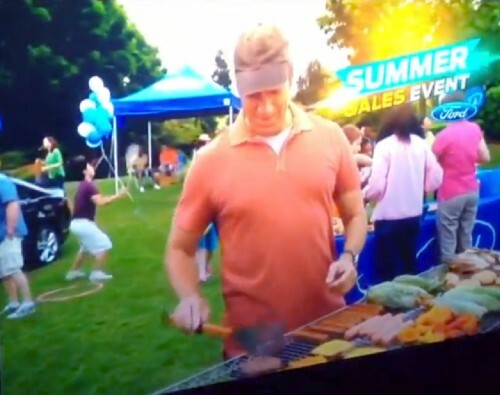 Mike Rowe didn’t in this frame-grab from a Ford advertisement. This entry was posted in BBQ Tips and tagged BBQ, charcoal, cooking, cookout, food, grill. Bookmark the permalink.